Sir John Fowler, 1st Baronet, KCMG, LLD, FRSE (15 July 1817 – 20 November 1898) was an English civil engineer specialising in the construction of railways and railway infrastructure. In the 1850s and 1860s, he was engineer for the world's first underground railway, London's Metropolitan Railway, built by the "cut-and-cover" method under city streets. In the 1880s, he was chief engineer for the Forth Railway Bridge, which opened in 1890. Fowler's was a long and eminent career, spanning most of the 19th century's railway expansion, and he was engineer, adviser or consultant to many British and foreign railway companies and governments. He was the youngest president of the Institution of Civil Engineers, between 1865 and 1867, and his major works represent a lasting legacy of Victorian engineering. Fowler was born in Wadsley, Sheffield, Yorkshire, England, to land surveyor John Fowler and his wife Elizabeth (née Swann). He was educated privately at Whitley Hall near Ecclesfield. He trained under John Towlerton Leather, engineer of the Sheffield waterworks, and with Leather's uncle, George Leather, on the Aire and Calder Navigation and on railway surveys. From 1837 he worked for John Urpeth Rastrick on railway projects including the London and Brighton Railway and the unbuilt West Cumberland and Furness Railway. He then worked again for George Leather as resident engineer on the Stockton and Hartlepool Railway and was appointed engineer to the railway when it opened in 1841. Fowler initially established a practice as a consulting engineer in the Yorkshire and Lincolnshire area, but, a heavy workload led him to move to London in 1844. He became a member of the Institution of Mechanical Engineers in 1847, the year the Institution was founded, and a member of the Institution of Civil Engineers in 1849. On 2 July 1850 he married Elizabeth Broadbent (died 19 November 1901), daughter of J. Boadbent of Manchester. The couple had four sons. Fowler established a busy practice, working on many railway schemes across the country. He became chief engineer for the Manchester, Sheffield and Lincolnshire Railway and was engineer of the East Lincolnshire Railway, the Oxford, Worcester and Wolverhampton Railway and the Severn Valley Railway. In 1853, he became chief engineer of the Metropolitan Railway in London, the world's first underground railway. Constructed in shallow "cut-and-cover" trenches beneath roads, the line opened between Paddington and Farringdon in 1863. Fowler was also engineer for the associated District Railway and the Hammersmith and City Railway. Today these railways form the majority of the London Underground's Circle line. For his work on the Metropolitan Railway Fowler was paid the great sum of £152,000 (£13.3 million today), with £157,000 (£13.8 million today), from the District Railway. Although some of this would have been passed on to staff and contractors, Sir Edward Watkin, chairman of the Metropolitan Railway from 1872, complained that "No engineer in the world was so highly paid." Other railways that Fowler consulted for were the London Tilbury and Southend Railway, the Great Northern Railway, the Highland Railway and the Cheshire Lines Railway. Following the death of Isambard Kingdom Brunel in 1859, Fowler was retained by the Great Western Railway. His various appointments involved him in the design of Victoria station in London, Sheffield Victoria station, St Enoch station in Glasgow, Liverpool Central station and Manchester Central station. 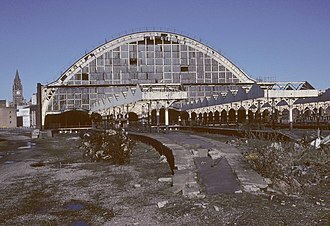 The latter station's 210-foot (64 m) wide train shed roof was the second widest unsupported iron arch in Britain after the roof of St Pancras railway station. 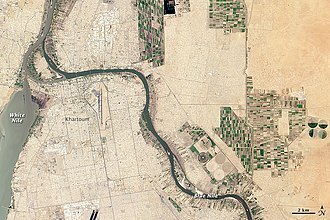 Fowler's consulting work extended beyond Britain including railway and engineering projects in Algeria, Australia, Belgium, Egypt, France, Germany, Portugal and the United States. 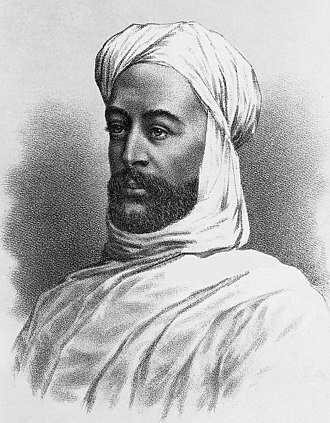 He travelled to Egypt for the first time in 1869 and worked on a number of, mostly unrealised, schemes for the Khedive, including a railway to Khartoum in Sudan which was planned in 1875 but not completed until after his death. In 1870 he provided advice to an Indian Government inquiry on railway gauges where he recommended a narrow gauge of 3 feet 6 inches (1.07 m) for light railways. He visited Australia in 1886, where he made some remarks on the break of gauge difficulty. Later in his career, he was also a consultant with his partner Benjamin Baker and with James Henry Greathead on two of London's first tube railways, the City and South London Railway and the Central London Railway. As part of his railway projects, Fowler designed numerous bridges. In the 1860s, he designed Grosvenor Bridge, the first railway bridge over the River Thames, and the 13-arch Dollis Brook Viaduct for the Edgware, Highgate and London Railway. He is credited with the design of the Victoria Bridge at Upper Arley, Worcestershire, constructed between 1859 and 1861, and the near identical Albert Edward Bridge at Coalbrookdale, Shropshire built from 1863 to 1864. Both remain in use today carrying railway lines across the River Severn. Following the collapse of Sir Thomas Bouch's Tay Bridge in 1879, Fowler, William Henry Barlow and Thomas Elliot Harrison were appointed in 1881 to a commission to review Bouch's design for the Forth Railway Bridge. The commission recommended a steel cantilever bridge designed by Fowler and Benjamin Baker, which was constructed between 1883 and 1890. To avoid problems with smoke and steam overwhelming staff and passengers on the covered sections of the Metropolitan Railway, Fowler proposed a fireless locomotive. The locomotive was built by Robert Stephenson and Company and was a broad gauge 2-4-0 tender engine. The boiler had a normal firebox connected to a large combustion chamber containing fire bricks which were to act as a heat reservoir. The combustion chamber was linked to the smokebox through a set of very short firetubes. Exhaust steam was re-condensed instead of escaping and fed back to the boiler. The locomotive was intended to operate conventionally in the open, but in tunnels dampers would be closed and steam would be generated using the stored heat from the fire bricks. The first trial on the Great Western Railway in October 1861 was a failure. The condensing system leaked, causing the boiler to run dry and pressure to drop, risking a boiler explosion. A second trial on the Metropolitan Railway in 1862 was also a failure, and the fireless engine was abandoned, becoming known as "Fowler's Ghost". The locomotive was sold to Isaac Watt Boulton in 1865; he intended to convert it into a standard engine but it was eventually scrapped. On opening, the Metropolitan Railway's trains were provided by the Great Western Railway, but these were withdrawn in August 1863. After a period hiring trains from the Great Northern Railway, the Metropolitan Railway introduced its own, Fowler designed, 4-4-0 tank engines in 1864. The design, known as the A class and, with minor updates, the B class, was so successful that the Metropolitan and District Railways eventually had 120 of the engines in use and they remained in operation until electrification of the lines in the 1900s. Fowler stood unsuccessfully for parliament as a Conservative candidate in 1880 and 1885. His standing within the engineering profession was very high, to the extent that he was elected president of the Institution of Civil Engineers for the period 1866-67, its youngest president. Through his position in the Institution and through his own practice, he led the development of training for engineers. In 1857, he purchased a 21,000 acres (8,500 ha) estate at Braemore in Ross-shire, Scotland, where he spent frequent holidays and where he was a Justice of the Peace and a Deputy Lieutenant of the County. He listed his recreations in Who's Who as yachting and deerstalking and was a member of the Carlton Club, St Stephen's Club, the Conservative Club and the Royal Yacht Squadron. He was also President of the Egyptian Exploration Fund. Following the successful completion of the Forth Railway Bridge in 1890, Fowler was created a baronet, taking the name of his Scottish estate as his territorial designation. Along with Benjamin Baker, he received an honorary degree of Doctor of Laws from the University of Edinburgh in 1890 for his engineering of the bridge. In 1892, the Poncelet Prize was doubled and awarded jointly to Baker and Fowler. Fowler died in Bournemouth, Dorset, at the age of 81 and is buried in Brompton Cemetery, London. He was succeeded in the baronetcy by his son, Sir John Arthur Fowler, 2nd Baronet (died 25 March 1899). The baronetcy became extinct in 1933 on the death of Reverend Sir Montague Fowler, 4th Baronet, the first baronet's third son. ^ His proposers were Sir James Falshaw, James Leslie, George Miller Cunningham and Alexander Crum Brown. ^ a b c d e f g h i j k l m n Chrimes, Mike (2004). "Fowler, Sir John, first baronet (1817–1898)". Oxford Dictionary of National Biography. Oxford University Press. doi:10.1093/ref:odnb/10011. Retrieved 5 June 2010. (Subscription required (help)). ^ Jones, Kevin P. "Civil engineers, Architects, etc". SteamIndex. Retrieved 5 June 2010. ^ "Obituary – Dowager Lady Fowler". The Times (36617). London. 20 November 1901. p. 6. ^ Wolmar, Christian (2005) . The Subterranean Railway: How the London Underground Was Built and How It Changed the City Forever. Atlantic Books. pp. 80–81. ISBN 1-84354-023-1. ^ Lashley, Brian (5 May 2009). "Manchester Central marks milestone". Manchester Evening News. Retrieved 10 July 2009. ^ a b c "Death Of Sir John Fowler". The Times (35680). 22 November 1898. p. 4. Retrieved 7 June 2010. (Subscription required (help)). ^ "Sir John Fowler in Adelaide". Maitland Mercury & Hunter River General Advertiser: 7. 16 February 1886. Retrieved 5 June 2010. ^ "Dollis Road viaduct" (PDF). Panel of Historical Engineering Works. Institution of Civil Engineers. Retrieved 13 January 2018. ^ "Victoria Bridge". Panel of Historical Engineering Works. Institution of Civil Engineers. Archived from the original on 2 April 2015. Retrieved 20 March 2015. ^ "Albert Edward Bridge, Ironbridge". Panel of Historical Engineering Works. Institution of Civil Engineers. Retrieved 13 January 2018. ^ a b Day, John R; Reed, John (2008) . The Story of London's Underground. Capital Transport. pp. 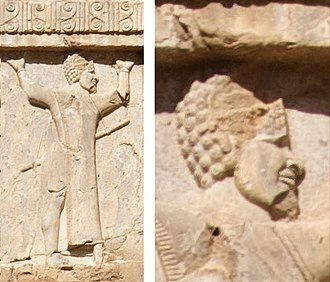 12–15. ISBN 1-85414-316-6. ^ "Fowler, Sir John". Who Was Who. A & C Black/Oxford University Press. Retrieved 8 June 2010. ^ a b "Funeral Of Sir John Fowler". The Times (35683). 25 November 1898. p. 10. Retrieved 7 June 2010. (Subscription required (help)). ^ "No. 25507". The London Gazette. 1 September 1885. p. 4130. ^ a b Biographical Index of Former Fellows of the Royal Society of Edinburgh 1783–2002 (PDF). The Royal Society of Edinburgh. July 2006. ISBN 0 902 198 84 X. ^ "No. 26043". The London Gazette. 18 April 1890. p. 2273. ^ "University Intelligence". The Times (32990). 19 April 1890. p. 12. Retrieved 7 June 2010. ^ "INSTITUT DE FRANCE". Engineering: A Weekly Illustrated. Vol. LIV — From July to December, 1892. p. 782. ^ "Fowler, Rev. Sir Montague". Who Was Who. A & C Black/Oxford University Press. Retrieved 8 June 2010. Wikimedia Commons has media related to Sir John Fowler, 1st Baronet. The Severn Valley Railway is a heritage railway in Shropshire and Worcestershire, England. The 16-mile heritage line runs along the Severn Valley from Bridgnorth to Kidderminster, crossing the Shropshire/Worcestershire border, Train services are hauled predominantly by steam locomotives, however diesel traction is sometimes used on designated days and during periods of high fire risk. The railway is one of the most popular heritage railways in the country as well as being the sixth-longest standard gauge line in the United Kingdom. It hosts numerous events throughout the year, including both steam and diesel galas. The Severn Valley line was built between 1858 and 1862, and linked Hartlebury, near Droitwich Spa, with Shrewsbury, a distance of 40 miles, in 1878 the GWR opened a link line between Bewdley and Kidderminster. This meant trains could run direct from the Black Country to areas of Shropshire, most Kidderminster to Bewdley trains continued through the Wyre Forest line to Tenbury Wells or Woofferton. At Buildwas Junction Severn Valley trains connected with services from Wellington to Much Wenlock, prior to preservation, the Severn Valley line was never financially successful. Freight traffic, mostly agricultural, and coal traffic from the collieries of Alveley and Highley were the sources of revenue. The line was strategically useful in the Second World War as a by-pass around the West Midlands, after nationalisation in 1948, passenger traffic started to dwindle. British Railways had announced in January 1962 that the Severn Valley line was under review, published closure proposal notices on 1 October 1962 in advance of a meeting of the West Midlands Transport Users Consultative Committee which took place at Bridgnorth Town Hall on 8 November 1962. Objections to the closure were unsuccessful and the line was closed to through passenger. Following closure, the north of Bridgnorth was dismantled. After 1963, coal traffic survived south of Alveley until 1969, while a passenger service continued to link Bewdley with Kidderminster and Hartlebury. The Metropolitan District Railway was a passenger railway that served London from 1868 to 1933. Established in 1864 to complete the circle, an underground railway in London. The Metropolitan Railway operated all services until the District introduced its own trains in 1871, the railway was soon extended westwards through Earls Court to Fulham, Richmond and Hounslow. After completing the circle and reaching Whitechapel in 1884, it was extended to Upminster in Essex in 1902. To finance electrification at the beginning of the 20th century, American financier Charles Yerkes took it over, Electric propulsion was introduced in 1905, and by the end of the year electric multiple units operated all of the services. On 1 July 1933, the District Railway and the other UERL railways were merged with the Metropolitan Railway, former District Railway tracks and stations are used by the London Undergrounds District and Circle lines. In 1863, the Metropolitan Railway opened the worlds first underground railway, the line was built from Paddington beneath the New Road, connecting the main line railway termini at Paddington and Kings Cross. Then it followed Farringdon Road to a station at Farringdon Street in Smithfield, the Mets early success prompted a flurry of applications to parliament in 1863 for new railways in London, many competing for similar routes. The House of Lords established a committee that recommended an inner circuit of railway that should abut, if not actually join. Proposals to extend west and south from Paddington to South Kensington, the District and the Met were closely associated and it was intended that they would soon merge. The District was established as a company to enable funds to be raised independently of the Met. The District had permission to extend westward from Brompton station and, on 12 April 1869. There were no stations and this service initially operated as a shuttle. By summer 1869 additional tracks had been laid between South Kensington to Brompton and from Kensington to a junction with the line to West Brompton, during the night of 5 July 1870 the District secretly built the disputed Cromwell curve connecting Brompton and Kensington. Wadsley is a suburb of the City of Sheffield in South Yorkshire, England. It stands 3 miles north-west of the city centre at a grid reference of SK321905. At the 2011 Census the suburb fell within the Hillsborough ward of the City, Wadsley was formerly a rural village which was engulfed by the expansion of Sheffield in the early part of the 20th century. A feudal manorial system existed in Wadsley in the Early Middle Ages under the control of Aldene, the Anglo-Saxon estate of Wadesleah is recorded in the Domesday Book of 1086 in its genitive form of Wadesleia. Wadsley eventually became a manor under the control of the De Wadsley family, the family had manorial rights and built a manor hall, a deer park and chapel within the parish of Ecclesfield. Their surname was first recorded in 1227, there are still Wadsleys today, the ownership of the manor of Wadsley changed many times over the following centuries. In 1790 Joseph Clay bought the manor of Wadsley from Michael Burton, upon his death in 1797 he bequeathed it to his daughter, the wife of George Bustard Greaves, of Page Hall. As Lord of the Manor, Greaves commissioned a survey of the manor in 1802, the survey revealed 200 people as landowners within the manor and between them they possessed almost 2,400 acres. The largest landowner at the time was Samuel Turner who owned almost 650 acres, from the 16th century up to the 1920s Wadsley’s main industry was cutlery manufacturing, at the end of the 19th century there were over 100 cutlers shops in the village. The industry declined as the workshops of Wadsley lost business to the large cutlery works of Sheffield. It is generally believed that the last little mester operating as a knife maker in Wadsley was Harry Horsfield who died in 1938. In 1901 Sheffield extended its boundaries and part of Wadsley came within the city, the recent history of Wadsley has been its development as a residential suburb with many houses built, especially in the area between Wadsley Lane and Langsett Avenue, in the 1930s. Due to its rural setting Wadsley has several country houses which are still standing within the now built-up suburb. The Circle line is a London Underground service in a spiralling shape, running from Hammersmith to Edgware Road and looping once around central London back to Edgware Road. Coloured yellow on the map, the 17-mile line serves 36 stations. Most of the route and all of the stations are shared with the other three lines, Hammersmith & City and Metropolitan lines. On the Circle line and the Hammersmith & City line combined,21 of the 36 stations are below ground. The first section opened in 1863 when the Metropolitan Railway opened the worlds first underground line between Paddington and Farringdon with wooden carriages and steam locomotives, due to conflict between the two companies it was October 1884 before the inner circle was completed. The line was electrified in 1905, and in July 1933 the two companies were amalgamated into the London Passenger Transport Board, in 1949 the Circle line appeared as a separate line for the first time on the Tube map. In December 2009 the closed loop around the centre of London on the side of the River Thames was broken at Edgware Road. The signalling system is being upgraded and the C Stock trains have recently replaced by new 7-car S Stock trains. In the same year a committee report recommended an inner circle of railway lines connecting the London termini that had been built or under construction. In the next year the Metropolitan District Railway was formed to build, the Metropolitan western extension opened in 1868 from a new station at Paddington to South Kensington. By May 1870 the District railway had opened its line from West Brompton to Blackfriars via Gloucester Road and South Kensington, the Metropolitan provided the clockwise or outer rail trains, the District the inner rail or anti-clockwise. As well as the circle, other routes circumnavigated London. Both of these routes were cut back to Earls Court in 1900 for the circle and 1909 for the outer circle. The GWR service survived as a service from the Hammersmith & City line to Addison Road until 1940. The Midland Railway briefly ran a super outer circle from St Pancras to Earls Court from 1878–1880, today London Overground runs services between Clapham Junction, Willesden Junction and Dalston Junction and between Dalston Junction and Clapham Junction. Manchester Central Convention Complex is an exhibition and conference centre converted from the former Manchester Central railway station in Manchester, England. Designed by Sir John Fowler, the station, the terminus for services to London St Pancras, was opened in July 1880 by the Cheshire Lines Committee. The structure has an arched roof with a 64-metre span - the second-largest railway station roof span in the United Kingdom. After 89 years as a terminus, it closed to passengers in May 1969. It was renovated as an exhibition centre known as the G-MEX Centre in 1982. From 1986 to 1995 it was Manchesters primary music concert venue until the construction of the Manchester Arena, the venue was refitted in 2008 to host conferences, exhibitions and is Manchesters secondary large concert venue. The complex was originally Manchester Central railway station, one of the main railway terminals. 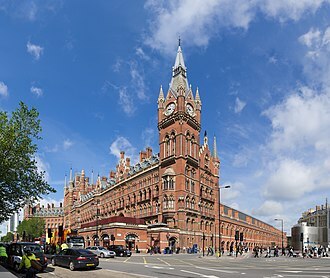 It was built between 1875 and 1880 and was closed to passengers on 5 May 1969, the station served as the terminus for Midland Railway express trains to London St Pancras. At its height, in the 1930s, more than 400 trains passed through the station every day, the station operated for 89 years, before closing in May 1969. It became derelict and the shed was initially used as an indoor car park. In 1978, the structure was acquired by the Greater Manchester County Council to redevelop as a concert venue, in 1982 construction work undertaken by Alfred McAlpine It was the centrepiece of the regeneration plan for the area and wider Castlefield district. The hall covered 10,000 square metres and could be partitioned into various sized units for different exhibitions, initial construction work concentrated on repairing the derelict structure and re-pointing brickwork which took 18 months. The Greater Manchester Exhibition Centre or G-Mex Centre was opened by Queen Elizabeth II in 1986 after four years of renovation, in 2001, the Manchester International Convention Centre was added, comprising an 804-seat auditorium and breakout rooms and the Great Northern Hall. In 2005, the running the complex was bought by Manchester City Council. Victoria station is a central London railway terminus and connected London Underground station in Victoria, in the City of Westminster. It is near to Victoria Street, which along with the area and it is in Travelcard Zone 1. From the main lines, trains can connect to the Catford Loop Line, Dartford Loop Line, Southern operates the majority of commuter and regional services to south London and parts of east Surrey, while Southeastern operates trains to south east London and Kent. Gatwick Express trains run direct from Victoria to Gatwick Airport, the Underground station is on the Circle and District lines between Sloane Square and St. Jamess Park, and the Victoria line between Pimlico and Green Park. With over 81 million passenger entries and exits in 2015/16, Victoria is the second-busiest station in London after Waterloo, combined with the Underground Station and interchanges in the national rail station, London Victoria handled about 170 million passengers in the 2015/2016 period. It is one of 19 stations managed by Network Rail, the area around the station is an important interchange for other forms of transport, a local bus station is in the forecourt and Victoria Coach Station is nearby. Victoria Station came about in a fashion to help address this problem for the London Brighton and South Coast Railway. 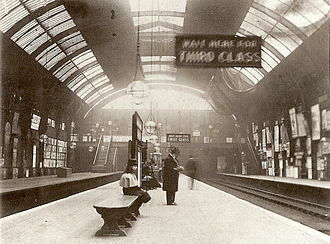 It consisted of two adjacent main line railway stations which, from the viewpoint of passengers, were unconnected, the London and Brighton Railway terminus at London Bridge provided reasonable access to the City of London but was most inconvenient for travellers to and from Westminster. As early as 1842 John Urpeth Rastrick had proposed that the railway should build a branch to serve the West End, but his proposal came to nothing. During the summer of 1857 a scheme for an independent Grosvenor Basin Terminus in the West End of London, the station was originally referred to as the Grosvenor Terminus but renamed Victoria as it was sited at the end of Victoria Street. Three other railway companies were seeking a terminus in Westminster, the Great Western, the London & North Western. The first two already had access to Battersea through their joint ownership of the West London Line with the LB&SCR. Liverpool Central railway station in Liverpool, forms a central hub of the Merseyrail network, being on both the Northern Line and the Wirral Line. The station is located underground on two levels, below the site of a mainline terminus. It is the busiest station in Liverpool, though smaller than Lime Street station, the mainline terminus. In terms of entries and exits between April 2010 and March 2011, Liverpool Central is the seventh-busiest station outside London. The station is the busiest underground station outside London serving 40,000 people daily, Liverpool Central is one of nine stations on the Merseyrail network to incorporate automatic ticket gates. The main concourse is part of a centre and includes a subway link to the former Lewiss department store. The original station, which was a large, above-ground terminal station, opened on 2 March 1874 and it replaced Brunswick station as the CLCs Liverpool terminus, becoming the headquarters of the committee. The three-storey building fronted Ranelagh Street in the city centre, with a 65 feet high, arched iron and glass train shed behind. In 1966, most services on the CLC route were diverted to Liverpool Lime Street via the Hunts Cross chord, leaving only an urban commuter trains per day to. These final services were withdrawn on 17 April 1972 with a promise to reinstate the Gateacre route when the Merseyrail network was completed in 1978, the area of the train shed now forms the centre of the planned Central Village development. The Mersey Railway tunnel entering Central Low Level from the north of the station was aligned with the high level stations approach tunnel from the south. This was to ensure minimum engineering work if there was to be a link up of the two tunnels – as did occur when the two tunnels were linked in the 1970s. In the 1970s, the Merseyrail network was created by merging separate railways into one comprehensive network, Central underground station would service the Northern Line and Wirral Lines. A new loop tunnel was built in Liverpool city centre for Wirral Line trains, linking James Street with Moorfields, Lime Street, Liverpool Central, a new deep-level underground platform was built at Liverpool Central as part of this loop tunnel. Its first line connected the main-line railway termini at Paddington and Kings Cross to the City. It opened to the public on 10 January 1863 with gas-lit wooden carriages hauled by steam locomotives, the line was soon extended from both ends, and northwards via a branch from Baker Street. Harrow was reached in 1880, and the line extended to Verney Junction in Buckinghamshire, more than 50 miles from Baker Street. Electric traction was introduced in 1905 and by 1907 electric multiple units operated most of the services, unlike other railway companies in the London area, the Met developed land for housing, and after World War I promoted housing estates near the railway using the Metro-land brand. On 1 July 1933, the Met was amalgamated with the Underground Electric Railways Company of London, former Met tracks and stations are used by the London Undergrounds Metropolitan, District, Hammersmith & City and Jubilee lines, and by Chiltern Railways. In the first half of the 19th century the population and physical extent of London grew greatly, only Fenchurch Street station was within the City. The congested streets and the distance to the City from the stations to the north, none were successful, and the 1846 Royal Commission investigation into Metropolitan Railway Termini banned construction of new lines or stations in the built-up central area. The concept of a railway linking the City with the mainline termini was first proposed in the 1830s. Charles Pearson, Solicitor to the City, was a promoter of several schemes. The scheme was rejected by the 1846 commission, but Pearson returned to the idea in 1852 when he helped set up the City Terminus Company to build a railway from Farringdon to Kings Cross. Although the plan was supported by the City, the companies were not interested. The Bayswater and Holborn Bridge Railway Company was established to connect the Great Western Railways Paddington station to Pearsons route at Kings Cross, a bill was published in November 1852 and in January 1853 the directors held their first meeting and appointed John Fowler as its engineer. 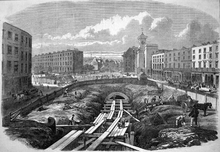 After successful lobbying, the company secured parliamentary approval under the name of the North Metropolitan Railway in the summer of 1853 and this dropped the City terminus and extended the route south from Farringdon to the General Post Office in St.
A tunnel is an underground passageway, dug through the surrounding soil/earth/rock and enclosed except for entrance and exit, commonly at each end. A pipeline is not a tunnel, though some recent tunnels have used immersed tube construction techniques rather than traditional tunnel boring methods, a tunnel may be for foot or vehicular road traffic, for rail traffic, or for a canal. The central portions of a transit network are usually in tunnel. 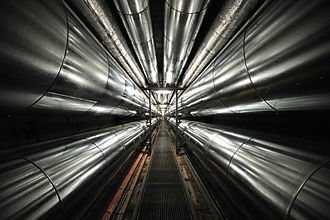 Some tunnels are aqueducts to supply water for consumption or for hydroelectric stations or are sewers, utility tunnels are used for routing steam, chilled water, electrical power or telecommunication cables, as well as connecting buildings for convenient passage of people and equipment. Secret tunnels are built for military purposes, or by civilians for smuggling of weapons, special tunnels, such as wildlife crossings, are built to allow wildlife to cross human-made barriers safely. A tunnel is relatively long and narrow, the length is much greater than twice the diameter, although similar shorter excavations can be constructed. The definition of what constitutes a tunnel can vary widely from source to source, for example, the definition of a road tunnel in the United Kingdom is defined as a subsurface highway structure enclosed for a length of 150 metres or more. In the United States, the NFPA definition of a tunnel is An underground structure with a length greater than 23 m. The place where a road, canal or watercourse passes under a footpath, cycleway, or another road or railway is most commonly called a bridge or, if passing under a canal, an aqueduct. Where it is important to stress that it is passing underneath, it may be called an underpass, a longer underpass containing a road, canal or railway is normally called a tunnel, whether or not it passes under another item of infrastructure. An underpass of any length under a river is usually called a tunnel. In the US, the term means an underground rapid transit system. Rail station platforms may be connected by tunnels or footbridges. Much of the technology of tunneling evolved from mining and military engineering. The Great Northern Railway was a British railway company established by the Great Northern Railway Act of 1846. On 1 January 1923 the company lost its identity, as a constituent of the newly formed London, the main line became part of the East Coast Main Line. In the summer of 1835, the engineer, Joseph Gibbs projected a line which was to run from Whitechapel, via Dunmow, Cambridge and this was submitted to a committee in London to which the title Great Northern Railway Company was provisionally given. However, the scheme came to nothing, loop from Peterborough to Bawtry via Boston and Lincoln. The London and York bill finally received Royal assent on 26 June 1846 as The Great Northern Railway Act,1846, the Act granted powers to construct the main line and loop lines. The Great Northern began construction first on the Peterborough to Gainsborough section of the loop line, as the ease of construction over the flat fens promised an earlier return on investment. The first section of line was opened on 1 March 1848 and was the Louth to Grimsby section of the East Lincolnshire Railway, which although nominally independent, was leased to the GNR from the start. The first section of GNR proper to be opened was the 3 miles from Doncaster to Askern Junction, the GNR and MS&LR lines allowing through running from Lincoln to Doncaster via Retford opened on 4 September 1849. The immediate targets in the north were Leeds and York and this new line was opened in June 1850, at which time the agreement was formalised and in return the GNR agreed not to proceed with its own main line from Askern to York via Selby. During 1846 to 1849 George Turnbull was the resident engineer under William Cubitt for the London District of the Great Northern Railway, in December 1848 Turnbull was busy with the plans for Kings Cross station and passing the line under the Regents Canal. On 2 February 1849 the last capstone on Holloway Bridge was set in place, on 27 March the first brick for the South Mimms tunnel was laid by Edward Purser. The first brick of the East Barnet tunnel was laid on 23 April, there was much trouble with the cement in the Tottenham and South Mimms tunnels, Turnbull stopped the use of this cement — blue lias was substituted. The Great Western Railway was a British railway company that linked London with the south-west and west of England, the Midlands, and most of Wales. It was founded in 1833, received its enabling Act of Parliament on 31 August 1835, Goods wagons were painted red but this was changed to mid-grey. 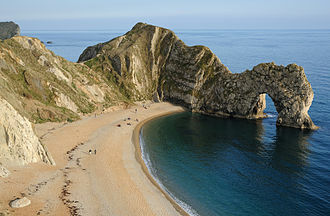 Great Western trains included long-distance express services such as the Flying Dutchman, the Cornish Riviera Express and it operated many suburban and rural services, some operated by steam railmotors or autotrains. The company pioneered the use of larger, more economic goods wagons than were usual in Britain and it operated a network of road motor routes, was a part of the Railway Air Services, and owned ships and hotels. The Great Western Railway originated from the desire of Bristol merchants to maintain their city as the port of the country. The company was founded at a meeting in Bristol in 1833 and was incorporated by Act of Parliament in 1835. Isambard Kingdom Brunel, aged twenty-nine, was appointed engineer and this was by far Brunels largest contract to date. Firstly, he chose to use a gauge of 7 ft to allow for the possibility of large wheels outside the bodies of the rolling stock which could give smoother running at high speeds. Secondly, he selected a route, north of the Marlborough Downs and this meant the line was not direct from to London to Bristol. From Reading heading west, the line would curve in a northerly sweep back to Bath, the first 22.5 miles of line, from Paddington station in London to Maidenhead Bridge station, opened on 4 June 1838. When Maidenhead Railway Bridge was ready the line was extended to Twyford on 1 July 1839, the cutting was the scene of a railway disaster two years when a goods train ran into a landslip, ten passengers who were travelling in open trucks were killed. This accident prompted Parliament to pass the 1844 Railway Regulation Act requiring railway companies to provide carriages for passengers. The next section, from Reading to Steventon crossed the Thames twice, a 7. 25-mile extension took the line to Faringdon Road on 20 July 1840. The Hammersmith & City line of the London Underground runs between Hammersmith and Barking. Coloured salmon pink on the map, it serves 29 stations in 15.8 miles. It runs below ground in the section between Paddington and Bow Road, between Farringdon and Aldgate East it skirts the City of London, the capitals financial heart. The tunnels are just below the surface and are a size to those on British main lines. In 1863, the Metropolitan Railway began the worlds first underground railway service between Paddington and Farringdon with wooden carriages and steam locomotives. The following year, a railway west from Paddington to Hammersmith was opened, the line was extended to the east, in stages, reaching the East London Railway in 1884. The Hammersmith & City route was shown on the map as part of the Metropolitan line until 1990. The track and signalling systems are being upgraded, and the old 6-car C Stock trains have been replaced by new 7-car S Stock trains in a programme to increase capacity by 65 per cent by 2019. The line runs parallel to the Great Western Main Line between Paddington and Westbourne Park, and parallel to the London and Southend Railway between West Ham and Barking. The line was mostly under the New Road using the cut-and-cover method between Paddington and Kings Cross and in tunnel and cuttings beside Farringdon Road. From 1865 the Met ran trains to Hammersmith and the GWR trains to Addison Road, in 1867 the line became jointly owned by the two companies. A year earlier some services had been extended via London & South Western Railways Hammersmith railway station, the railway was extended east of Farringdon and a terminus opened at Aldgate on 18 November 1876. In October 1884 the Met extended some Hammersmith services over the ELR to New Cross, the 6-car electric multiple units were jointly owned by the Met and GWR until 1923 when the GWR sold theirs to the Met. On 1 July 1933 the Metropolitan Railway was amalgamated with other Underground railways, tramway companies, to relieve congestion on the District line east of Whitechapel from 1936 some trains from Hammersmith were diverted from the East London line to Barking. Sheffield Town Hall, adjacent to the Peace Gardens, is an example of Victorian era Gothic revival architecture. A GWR broad gauge train is taking the route to Bishop's Road at Praed Street junction near Paddington, where the Notting Hill and Brompton extension joins the original line. GWR 5700 Class Pannier tank 5764 crossing the Victoria Bridge. LMS Stanier Class 5 4-6-0 No.45110 with at Bridgnorth railway station on the re-opening date of 21 March 2008. The locomotive carries a headboard commemorating the re-opening. Down Home Signals for Bridgnorth, cleared for a train to enter Platform 1. These are all lower quadrant semaphores of GWR origin. The new National Rail entrance, built as part of the Thameslink Programme. It is built opposite the 1922 station frontage, which still stands. "The Railway Interest". Caricature by Ape published in Vanity Fair in 1875. Nairn railway station was built by the Highland in 1885–91, and is currently a Category B Listed Building. 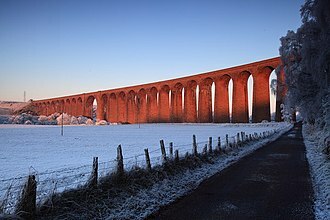 The Nairn viaduct, otherwise known as the Culloden Moor Viaduct is a Category A listed structure. The interior of Brunel's train-shed at Temple Meads, the first Bristol terminus of the GWR, from an engraving by J.&nbsp;C.&nbsp;Bourne. Viceroy, Lord Canning, meets the ruler of the princely state of Kashmir and Jammu, Ranbir Singh, 9 March 1860. Kashmir, like Hyderabad, Mysore, and the states of the Rajputana, supported the British during the Rebellion of 1857. Annual dinner of the Institution in the carriage works of the Midland Railway at Derby in 1898. Samuel Johnson, the railway's Chief Mechanical Engineer, was the president. When Sudbury Town was rebuilt in July 1931 it was the prototype developing Holden's architectural style. O Stock was used on the Circle line 1947–70. Here photographed at Barking in 1980. The medieval stocks still stand outside the Wadsley Jack pub, they are a grade two listed monument. Wadsley House is now a social club. Torksey viaduct, deck level, facing East. The former St. Enoch Station Clock at the Antonine Centre in Cumbernauld. The interior of the derelict station before its renovation in 1982.